Are you seeking a cleaner for carpet cleaning in Sydney? 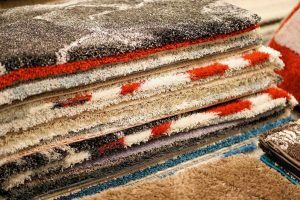 Are you confused on best cleaning method for your carpet? 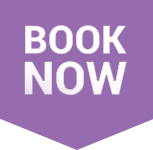 Learn Sydney’s best cleaning company, Best in Oz Cleaning Services’ carpet cleaning service. Basically, end of lease cleaning and residential cleaning service includes carpet cleaning, but you can opt-in for carpet cleaning only. Our experienced and trained cleaners will bring the best of your carpet- preventing mold, stains, odor, and germ development. Over the varieties of cleaning method, Best in Oz incorporate steam cleaning for carpet cleaning. Actually, carpet steam cleaning is hot water soil extraction cleaning. This method uses equipment that sprays heated water on the carpet. Then machine vacuumed up water along with any dirt in the carpet. Even many carpet manufacturers recommend this procedure as the most effective carpet cleaning procedure along with deep clean. 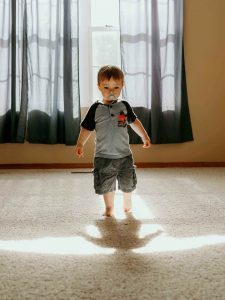 Child being excited after cleaner cleaned the carpet. Carpet Pre-inspection: thoroughly inspect the carpet and determine the extent of service required. Move Basic Furniture: to achieve an easy access in all areas of the carpet. Pre-Vacuum: remove dry particle in order to spot and remove stubborn stains on the carpet. Carpet Pre-Spray: spray our exclusive cleaning product to the spot and later rinse it with cold water. Stain Treatment/Deodorizer: focus on stubborn stains, treat them and also neutralize any odor present. Carpet Steam Cleaning: lastly rinse the carpet with clean water to provide a clean and fresh carpet. Why us for carpet steam cleaning in Sydney? We also acknowledge that Sydney has numerous cleaning company but below-mentioned points contrast us from others. 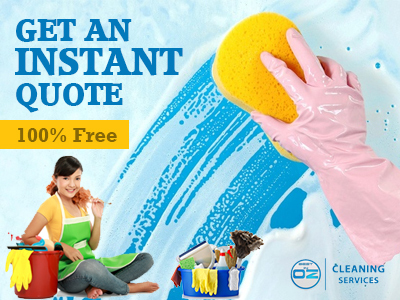 Our trained cleaners are providing cleaning services for eight continuous years making them the experienced. Our carpet cleaners carry out their responsibility under the strict accordance with the latest cleaning standards to ensure the satisfaction of our clients. Our cleaners use Eco-friendly cleaning products which help to create a safe environment for your family. Carpet cleaning helps in mold treatment, carpet restoration, and pet stain and odor control. We undertake low moisture cleaning process that dries in 2-4 hrs. We provide comprehensive quote before commencement and issues invoice only after the completion. At Best in Oz Cleaning Services, we promote a healthier environment for the family. We also provide cleaning service for business to ensure prolonged and quality carpets. We use high quality, biodegradable non-toxic products that not only clean your carpets but also creates a safer environment. Any other confusion? Communicate with our customer service representative and learn more.